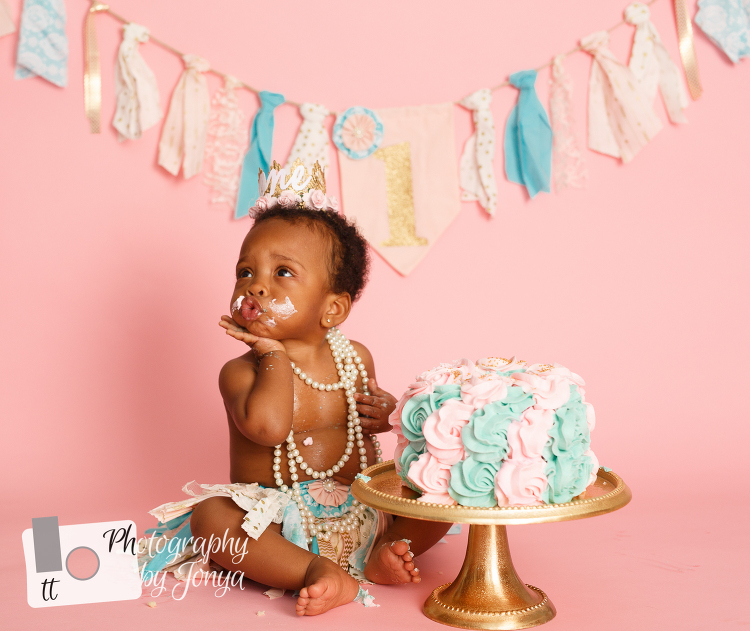 T&T Photography knows how our littles ones hit their first birthday in a blink of an eye. This is exactly why you need to hire a great 1st birthday photographer. Whether you are looking to capture their early personality through a fun session or you want to capture them devouring a cake during a cake smash session, I will document this beautiful milestone. As a parent, I know how important great photos are for these special celebrations and this time for you to hold onto forever. 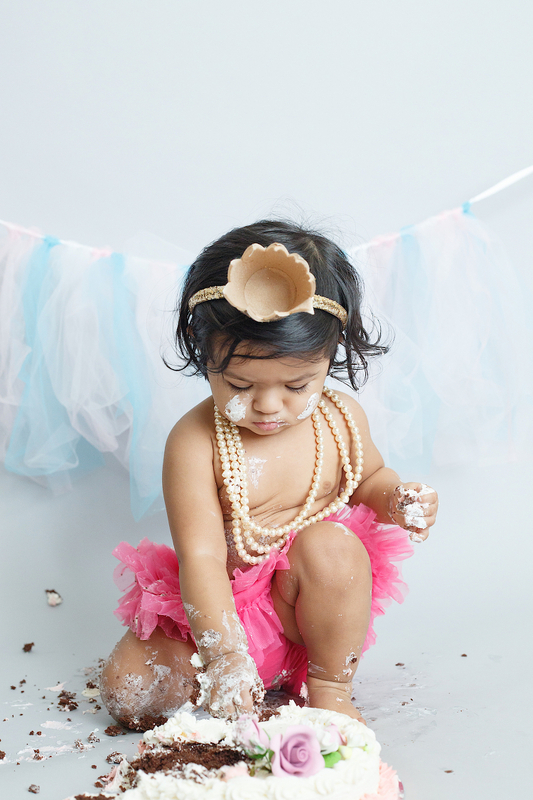 All 1st birthday and cake smash sessions are completely customized based on your vision and their style. Each 1st birthday and cake smash session is completely designed with you. We try to design everything around the outfit, so this is important to keep in mind. There are so many ideas for both boys and girls. It is actually really fun to get looking at all of the cute attire there is. After we figure out what the birthday boy/girl will be wearing, we will work to decide on decorations and the cake. I do NOT provide the cake for the cake smashes. However, I am happy to help guide you in the right direction. 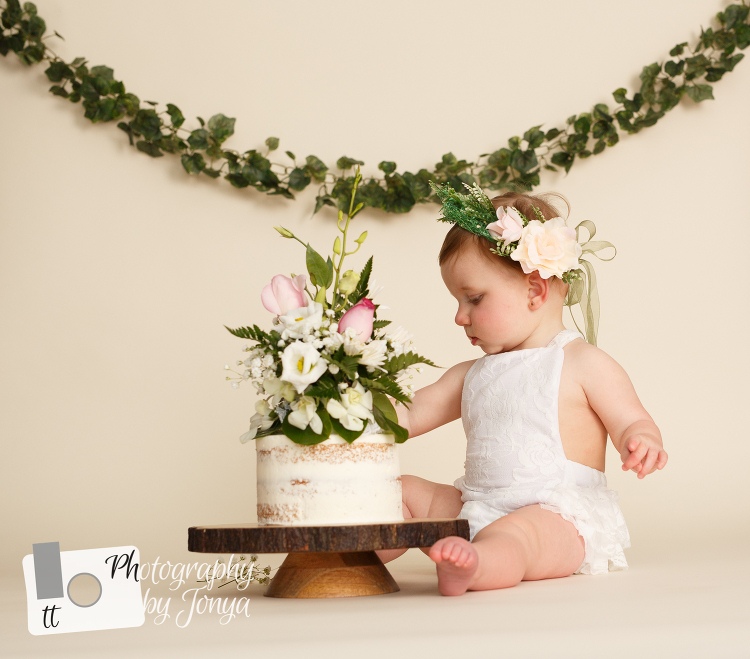 T&T Photography offers 3 collections specific for 1st birthday’s… But these can be done for any birthday! Your little ones first birthday is such a special milestone, and so is their first taste of sugar! T&T Photography offers cake smash photography that can take place at the T&T Photography studio in Holly Springs, at your home or at a public park. During our pre session consultation, we can determine what location suites the customized session best. The session includes the pre session consultation, 30 minutes of photography, and at least 10 digitally edited images that you select with the print release. This is because choosing only 10 images can be SO difficult. Trust me, I know! Let’s be honest, this is can be a such a memorable session, and TONS of fun. . Sometimes they babies ham it up for the camera! Some throw the cake, but it in their hair, roll it around.. it can be hysterical! So, not only get the Cake Smash Collection, but the consultation/design, set up, online viewing gallery and ALL of the photos from the came smash edited WITH the print release. This is a 2 part photo collection. The first portion of the session is roughly 30 minutes of capturing birthday child’s personality in an outfit that helps define them. The 2nd part of the session includes the cake smash. During our pre session consultation, we can determine a location and discuss what to wear that best suites the customized session. The session the pre session consultation, a “formal” 30 minute session of photography, 20 minutes of cake smash photography, and at least 25 digitally edited images that you select with the print release. *Additional photos can be purchased for $15 each.